After Maggi noodles, Nestle's pasta has now landed in trouble as its samples, tested at a state-owned food testing laboratory in the northern Indian state of Uttar Pradesh, were found to be carrying lead beyond the permissible limits, a state government official said on Friday. Nestle was not immediately available for comments over the matter. 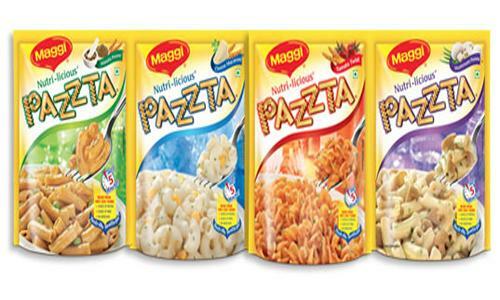 Pasta samples collected from Nestle distributor - Sriji Traders - here on June 10 were sent to a government food testing laboratory in Lucknow, said Arvind Yadav, Designated Officer at Food and Drug Administration Mau. "After Maggi, the sample of macroni pasta was taken from Mau and sent to National Food Analysis Laboratory, Lucknow in which the lead was found to be much more that the permissible limit," he said. "According to report received on September 2, they failed the tests," the officer said. "The standard limit is 2.5 PPM (parts per million) while it has been found to be 6 PPM. The letter informing the Nestle company sent at its Modinagar address has come back here undelivered," Yadav said. Yadav also showed the undelivered letter to media persons. He also said: "On the basis of the report this food product now comes under the 'unsafe food category'". "The report has been sent to the FDA Commissioner (Lucknow) on October 12 for sanction to lodge a case and in case it is received it will be filed in the court of the CJM here," Yadav said. The official, to questions, said, "It can also lead to banning the product." "They (Nestle) were sent a letter over a month ago intimating them about the results. They had a month's time to appeal against the test but the letter sent by the FDA was not received by the company and was returned here," Yadav said. Meanwhile, District Magistrate Vaibhav Srivasatav also said, "The sample which has failed the test is of June and we will taken immediate action on the directives... we are in touch (with the authorities) on phone." "Nestle Maggie's food product Macroni Pasta had been taken in Mau in June (2015) in which the lead content which is permissible at 2.5 has been found to be 5.984 PPM and it has been sent to the Food Commissioner and we are waiting for his directives," the DM said. He said the lead content found in the samples was beyond permissible limits. "Against the permissible limit of 2.5 PPM (parts per million), the pasta samples were found to be carrying 5.9 PPM," the DM said. In June this year, Nestle had to take Maggi instant noodles off the shelves, after some states decided to ban it. The move come after Food Safety and Standards Authority of India (FSSAI) had banned Maggi instant noodles terming them "unsafe and hazardous" for human consumption. FSSAI had also said that Nestle violated labelling regulations on taste enhancer 'MSG' and ordered company to submit compliance report on its orders. However, later, Maggi's noodle cleared FSSAI tests. All samples of Maggi Noodles Masala were cleared by three food-testing labs as mandated by the Bombay high court. The tests were ordered by the court as it overturned the ban, calling it "arbitrary".